Dress your doll for her first fancy dress party or just to be different it this great little number! 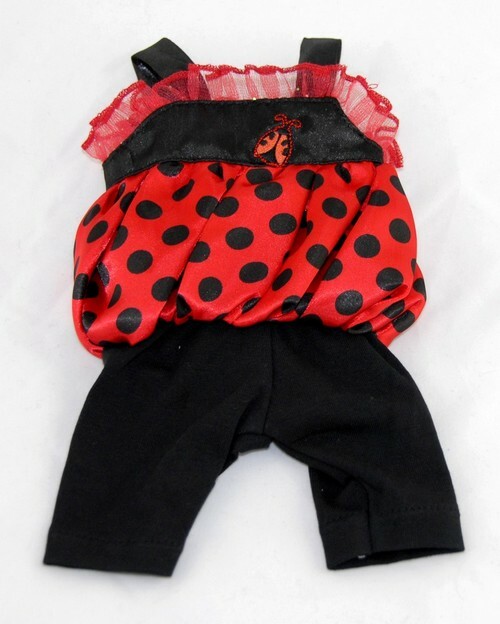 A 2-piece set consisting of a ladybird style top and black leggins. To finish the outfit let your dolly wear a pair of our knitted ladybird booties and she is sure to steal the show!